Moon shattering in the future, from the 2002 movie The Time Machine. Image courtesy of Warner Bros.
Time travel transporter technology is killer...no, really. An image of the death trap...I mean "transporter" on the original Star Trek series. Image courtesy of Paramount Television. You're not really going to step onto that transporter platform, are ya? I've been having this discussion...well, kind of an argument, with a colleague at work. His name is Geoff. He's big into sci-fi, like me, and we've talked a lot about time travel theories like the grandfather paradox, time travel technology, black holes, movies, books, etc. Now there's an overdue flight! Unsuspecting passengers disembark in New York only to find they have been missing for over 5 years. I'd be concerned too! Image courtesy of NBC. Imagine this. You are separated from your family at the airport due to overbooking, and when your plane touches down a few hours later, everything has changed. You discover five years have passed, and although the family members that accompanied you on the flight are still the same (maybe...), the ones that went on ahead of you on a different flight are not. That's because their flight landed like it was supposed to. You, on the other hand, have literally transported through time, and now you've step out onto the tarmac into a new world. 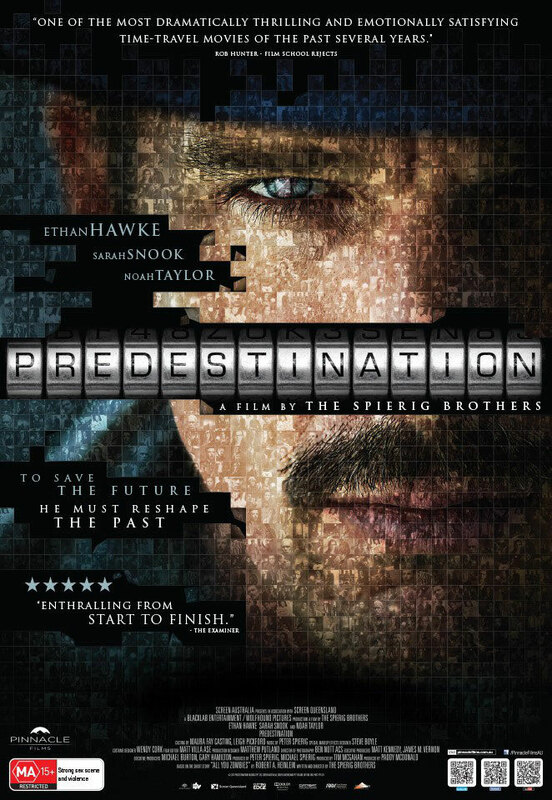 Time Travel movie Predestination is one heck of a ride. Starring Ethan Hawke, image is courtesy of Pinnacle Films. Well, here it is. My top 10 list of Time Travel Stories! It was tough to put together. It's hard to measure one against the other, not because of the different mediums (books, tv or movies), but because each of them are so very good individually. But weigh in. Tell me if there's one in here you feel strongly about, or one you felt should have been included on my list. 10. Somewhere in Time. Movie (1980). Shot on a miniscule budget on Mackinac island in Michigan, I've always felt this Christopher Reeve/Jane Seymour movie was underrated. A tragic love story, based on the excellent novel "Bid Time Return" by Richard Matheson. 9. The Final Countdown. Movie (1980). 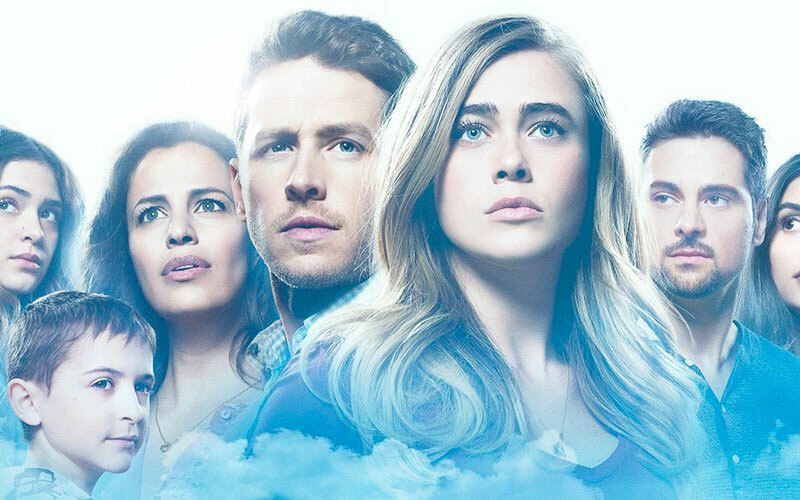 An aircraft carrier accidentally gets sent back in time and its stunned crew has the opportunity to prevent Pearl Harbor from ever happening. Terrific star power with Kirk Douglas, Martin Sheen, Charles Durning. As a kid, I must have seen this at the Drive-in 50 times. 8. Predestination. Movie (2014). Starring Ethan Hawke, this movie left me speechless. I don't want to spoil it so the less said, the better. Better to go in cold. Chris and Jennifer aren't in Kansas anymore. 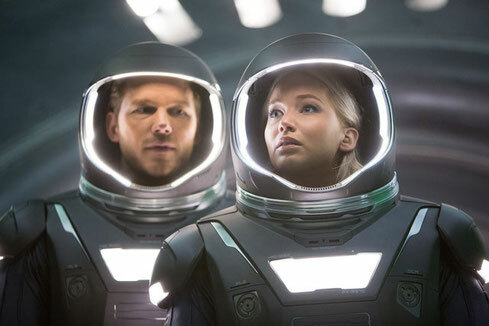 Passengers still courtesy of Sony Pictures. If you're looking for an interesting take on those willing to literally give up everything for a "fresh start", the Jennifer Lawrence and Chris Pratt movie Passengers should be at the top of your list. 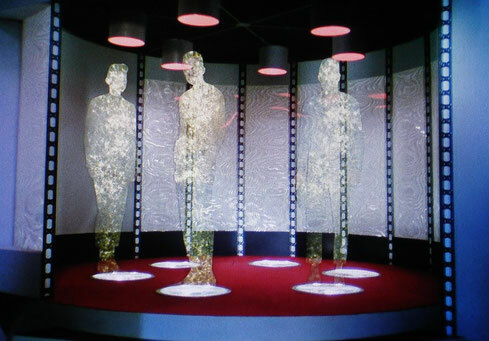 The movie takes place entirely on the starship Avalon, the story revolving around one passenger who is accidentally awoken too soon from his hibernation pod. Engineer Jim Preston (Chris Pratt) finds himself surrounded by people – 5000 of them, but he is all alone. The other passengers are asleep, and will be for almost a century more, until they reach their destination: a colony on a planet called Homestead II. His only companion is a robot bartender, played by Michael Sheen. The theatrical release was given poor reviews. Glenn Kenny of RogerEbert.com only awarded it 1.5 stars, and the Tomatometer on Rotten Tomatoes gives it a mere 31% approval rating. But this is a mystery to me, as the concept was quite original, the story very well written and the visual effects as spectacular as any other science fiction movie today. 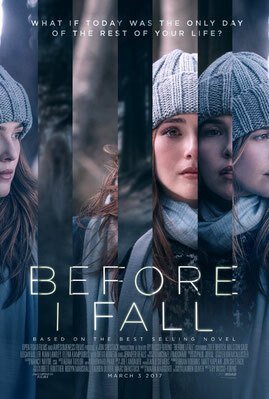 Before I Fall revisits the concept of repeating the same day over and over again. Image courtesy of Open Road Films. 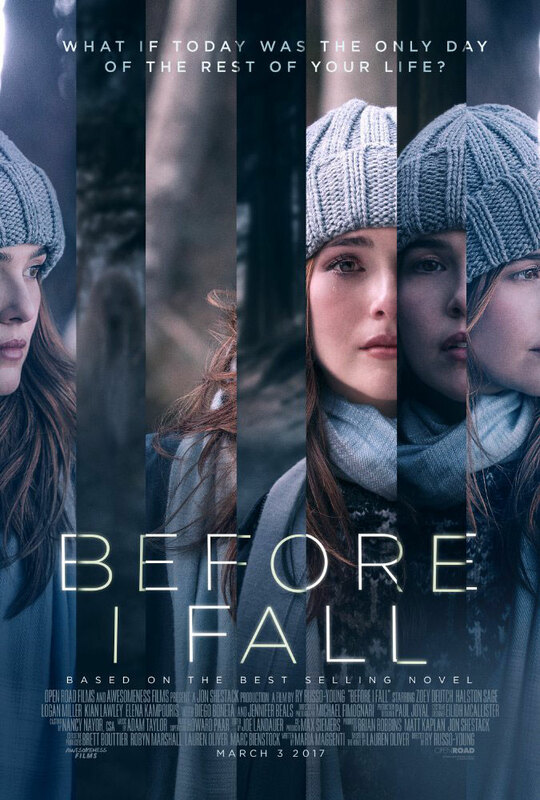 "If I was going to relive the same day over and over again, I'd want it to be a day that can make a difference" says time traveler Samantha Kingston in Before I Fall trailer. Finishing high school can be a painful period in one's life. Just when you feel you've got it all together, the routine is suddenly over, and good friends are moving away. Sure, there's social media to keep in touch, but it's not quite the same as being there, is it? Much like Tom Cruise's character in Edge of Tomorrow, this time she is armed with the knowledge of what is to come, although it seems she can't avoid the car accident. Maybe it's fate? As for the rest of the day, she now sees things she failed to notice before: the way she and her friends treated an outsider at a party, her mom's opinion of her, her little sister's feelings. Maybe you think I'm giving away too much? But no, I have not seen the movie. The trailer, weighing in at 2:32 seconds, shows us all of this. The always reliable Wikipedia with a definition of time travel and a history of the concept. How time travel works by How Stuff works. Read about how it all began.